Windows only: DriverBackup2 is a lightweight driver-backup tool. The application is portable with a caveat: you'll need administrative privileges for full use. You can opt to backup one or all of your drivers, the backed up files are dumped into a tree structure based on driver name. 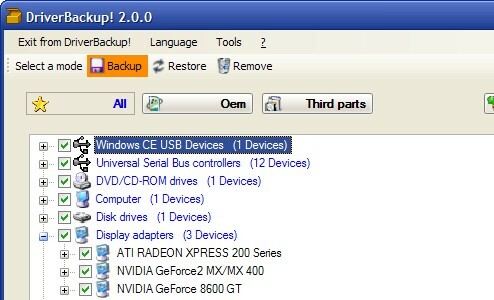 DriverBackup2 also allows you to restore and delete unnecessary drivers. If you ever hunted for obscure drivers online, when installing legacy or obscure hardware for instance, DriverBackup2 will save you the hassle of searching them out again. For other driver viewing and backup solutions check out DoubleDriver and DriverView. DriverBackup2 is freeware, Windows only.